We are looking to purchase a Grandfathered Full Sim. Quick Sale. Already a premium member. Please IM us and let us know! The term "grandfathered sim" applies to estate sims, so you do not need a premium membership to purchase an estate sim. 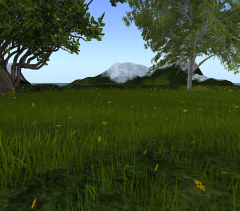 However, given that a grandfathered estate full prim sim has a tier of $195 per month, when the ownnership is now transferred from one owner to another, the new owner must pay the current monthly tier of $295. Sorry, but that is the truth. A grandfathered estate sim loses its "grandfatheredness" when ownership is transferred - it has been this way for several years. have you found a sim yet?